Bankruptcy isn’t as popular an option as it used to be for dealing with debt. While it may not be the first resort, however, it’s still a necessary alternative for many, and credit card debt is often a driving factor for considering this serious step in finance management. 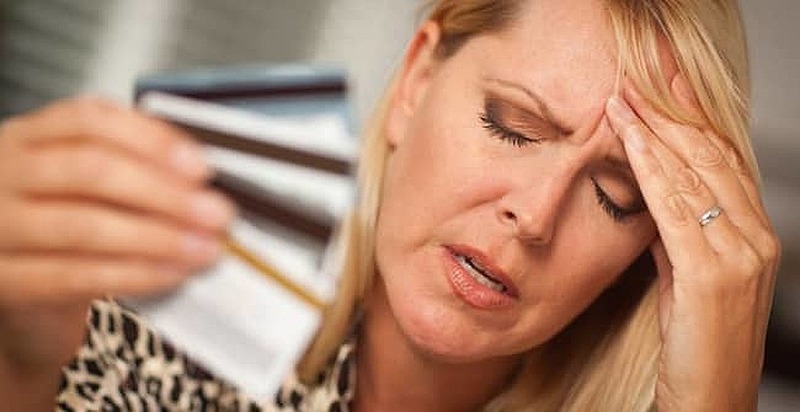 Before you consider bankruptcy as a viable option for overwhelming debt or crippling payments, it’s wise to understand how the process will affect your credit card obligations, specifically. Whether you file Chapter 7 or Chapter 13 bankruptcy will have the biggest effect on how your credit cards are handled. Most individuals file for chapter 7 or 13 bankruptcy (unless you’re a fisherman or farmer). In Chapter 7, your debts are completely dismissed after your assets are sold off to pay what you can. Anything not covered by your asset sale is discharged permanently. In chapter 13, you will work with your creditors to pay back what you can on a structured plan that lasts three to five years. Debt that is left over (including credit card balances) after the plan is discharged. Both types of bankruptcy have their unique advantages and disadvantages, so it’s best to consult a bankruptcy attorney before embarking on either as a solution to overwhelming credit card demands. Debts such as mortgages or car loans (which are secured by the actual property being paid for by the loan) are considered “secured” and get paid first by any money left after selling assets. Credit cards, on the other hand, are at a low priority, and rarely get paid off in their entirety. In Chapter 13 cases where the debtor sets up a repayment plan, the secured and priority debts will be paid first. If you still have time left in your plan and the money to do so, you will be asked to pay some or all of the remaining unsecured debts. Most of the credit cards consumers use today are considered “unsecured” debt. This simply means you obtained your credit line without having to come up with collateral, or your own physical assets, to use as insurance against non-payment. In the rare case that you took out a secured line of credit, however, both types of bankruptcy will attempt to pay those debts. Thinking about getting a secured card? Check out our favorites here. Don’t forget to fill out your 1099-C for your taxes if bankruptcy discharged your debts last year! If you thought that a finalized bankruptcy was the end of your liability, you may be wrong. In fact, if you had any debts discharged or forgiven without payment, you’ll see a new tax form in the mail along with the W-2’s from your employer. 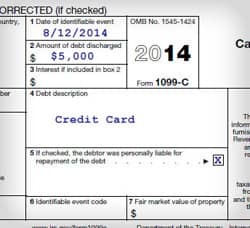 Labeled 1099-C, this form shows the value of the debt that was written off as a form of income. Taxes are generally owed on this income, and it may affect any refund you were expecting and can even cause you to owe a tax payment come April 15th. Use this IRS guide to walk you through calculating your asset values, and use form 982 to file with your 1099 to claim this exclusion. One common bankruptcy myth is that the proceeding spares everyone listed on a credit card account from having to pay the total bill. If you file a Chapter 7 Bankruptcy, however, anyone who helped vouch for your creditworthiness by putting their name down as responsible for the debt will be called upon to pay anything not paid in full during the bankruptcy proceedings. Most co-signers are protected from being pursued for additional payments after a Chapter 13 proceeding. While bankruptcy is never desirable, it can be a legitimate tool to surviving major financial devastation and starting the path back to becoming financially stable. As with any major financial decision, it’s best to seek wise counsel in these matters and explore all the options to find the solution best suited to your individual financial situation.